Cost: This event is free and open to all to attend. Participation in the program is limited to BANC members and is considered a member benefit. One of BANC’s signature events is our celebration of the poetry, musings, music, patriotism and writings of two literary giants of Bengal – Gurudev Rabindranath Tagore (7 May 1861 – 7 August 1941) and Kazi Nazrul Islam (24 May 1899 – 29 August 1976). 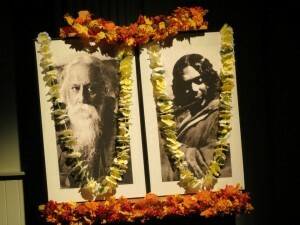 Our community pays homage to their vision for equality, dignity and social justice in the world and its people.Rabindra-Nazrul Jayanti is organized annually in late May or early June (aligning with the birth anniversary of Gurudev on 25th Baishakh and Kazi Islam on 11th Jaystha) and is free and open to all members of BANC.